FRASERBURGH is one of the largest shell ports in Europe. Although fishing is the town’s main industry, Fraserburgh offers a wealth of activities, including a superb range of unique shops and restaurants, excellent business and leisure facilities, the latter including a new leisure pool, golf course and indoor bowling centre, not to mention the endless golden sandy beaches, many cycling and walking opportunities and a range of water sports. Kinnaird Lighthouse, erected in 1787 and the first lighthouse to come on to the mainland of Scotland, has housed the Museum of Scottish Lighthouses since 1995; Fraserburgh Castle, built as a Town House by the 8th Laird of Philorth, Alexander Fraser of the clan Fraser, who is recognized as the “founder” of Fraserburgh: Fraserburgh Heritage Centre, Commended by the Tourist Board, and a previous winner of the Scottish Museum of the Year award. 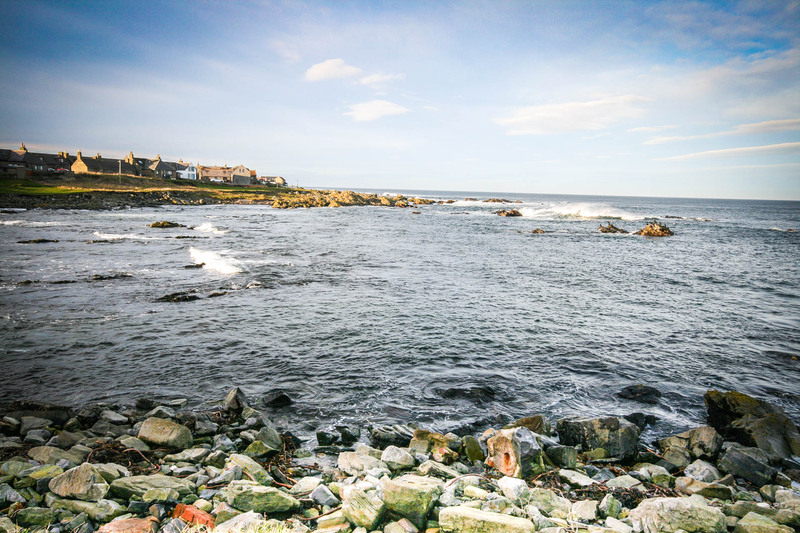 A vibrant village with 9 hole golf course, leisure harbour and local hotels, Fraserburgh is approx 4 miles distant. Quiet traditional fishing village lying on the sandy coastline of the North East, featuring excellent beaches Fishing, shooting and country walks are just a few of the activities near at hand. The RSPB Nature Reserve of “Loch of Strathbeg” is within walking distance of the village and attracts local wildlife including geese, ducks, swans, heron and deer. The 18 hole golf course separates the village from nearby Inverallochy and Carinbulg, also home to a further 18 hole golf course.